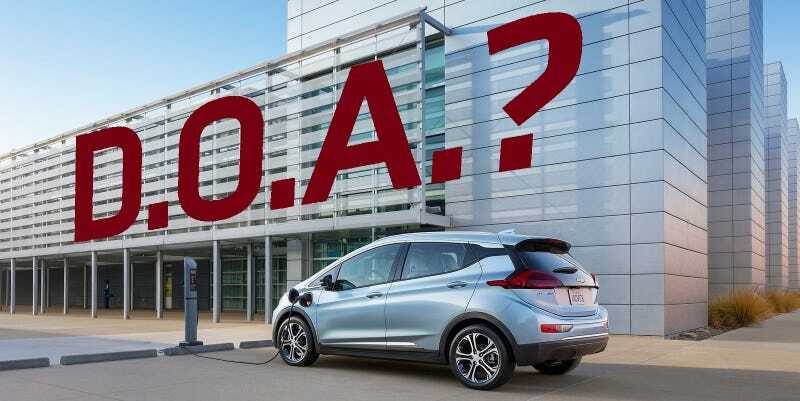 General Motors was really excited about introducing the all-electric Chevy Bolt earlier this year, being the only major automaker to bring a practical 200 mile range EV rival to Tesla’s Model 3 to market an entire year sooner. The problem with the Bolt is that it won’t be exciting to American buyers. In a recent profile of General Motors’ Korean design studio by Automotive News, the new Chevy Bolt, which goes on sale later this year, was heralded as a new standard for the automaker’s small vehicle design. The Bolt’s lead designer Stuart Norris provided a detailed interview about the design process, revealing an ultimately flawed approach to introducing an electric car to the American consumers. We can’t discuss the Chevy Bolt without bringing up Tesla’s success and its approach to the “affordable” EV with the upcoming Model 3. The Chevy Bolt will go on sale for right around $30,000 after incentives, offering an electric range of 200 miles. The Tesla Model 3 is promised to start at a similar price and offer a similar range. But that’s where the similarities end. As Tesla learned early on after introducing the Model S, which underwent a minor face-lift to improve aerodynamics shortly after going on sale, limiting drag on a design is the easiest route to improved fuel economy, or in an electric car’s case, increasing range—which happens to be the biggest concern over purchasing an electric car. That’s why aerodynamic efficiency was the key focus behind the upcoming Model 3's design. And it looks like a Honda Fit, but priced $10,000 higher. The Bolt has a drag coefficient of 0.32, Norris said. That compares with a superslippery 0.24 in the Toyota Prius hybrid. But the challenges were steeper given the Bolt’s squat, wedge shape. “It’s a disaster for aero,” said Norris, who worked for seven years on the svelte silhouettes of sports car maker Jaguar before joining GM in 2004. To improve air flow, Norris’ design team incorporated a spoiler and sharply creased winglike canards along the tail edge of the car. Other tricks were underbody paneling, air dams and active grille shutters that close at certain speeds to streamline airflow. Designers even adjusted the radius of the A-pillar, modified the mirrors and fine-tuned tire coverage. I understand the approach at attempting to normalize the electric car, but this is where the team should have realized that the Chevy Bolt’s electric drivetrain is a compromise to the practicality of the B-segment car they were making. Why not make a B-segment car with all of the “mold-breaking” innovations to increase interior space, and pair that practicality with a small internal combustion engine offering a much greater range and impressive fuel efficiency over an electric car? Not to mention it would likely bring the price of the car down without relying on incentives. To the same note, why is GM trying to form an electric car, which relies on aerodynamics and light weight for efficiency and practicality, into a segment that is perfectly served by a more traditional design approach? The main issue with the Bolt’s design is that it’s trying to be two things at once, and fails at being a practical B-segment hatchback just as much as it fails at being a practical electric car. Why should I buy a Chevy Bolt, which has a limited range, impractical refueling time compared to the competition, and a starting price almost $10,000 more than something like a Honda Fit, which honestly looks almost identical in design? Tesla’s success at grabbing the attention and interest of American (and global) buyers is that it makes electric cars attractive in both design, practicality and performance. The Chevy Bolt doesn’t look bad, but in the segment GM forced it into, it doesn’t offer any more performance, practicality or style over the competition while being sold for a much greater price. Americans have already placed 370,000 orders for the Model 3, proving that the market and interest for an affordable electric car exists. So why is the Chevy Bolt trying so hard to pretend it isn’t an electric car?